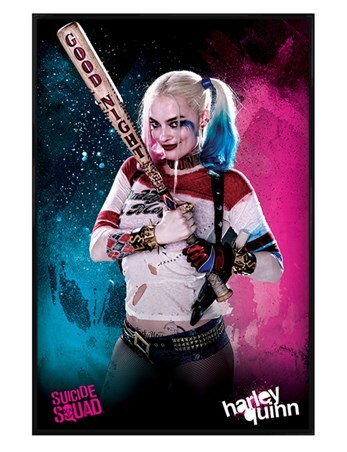 Woops, looks like Harleen is up to no good again! 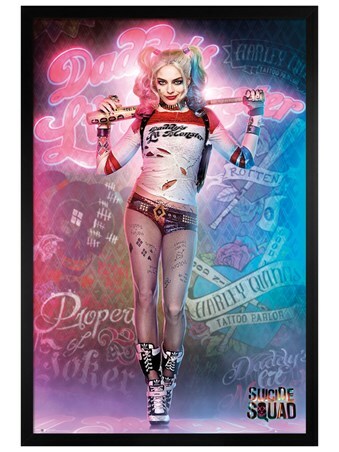 This incredible maxi poster is a great gift for any fan of the film adaptation of Suicide Squad. Posing in style, Harley dominates the paper as she swings her iconic 'good night' baseball bat. 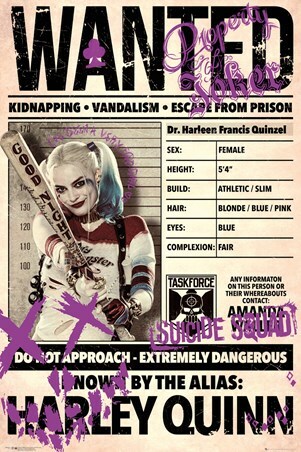 Listed are her many crimes and personality traits, helping the public to identify this crazed vixen more easily. Now, don't be fooled by her golden locks and sickeningly sweet smile, as this temptress would be able to knock you off your feet in a moment!